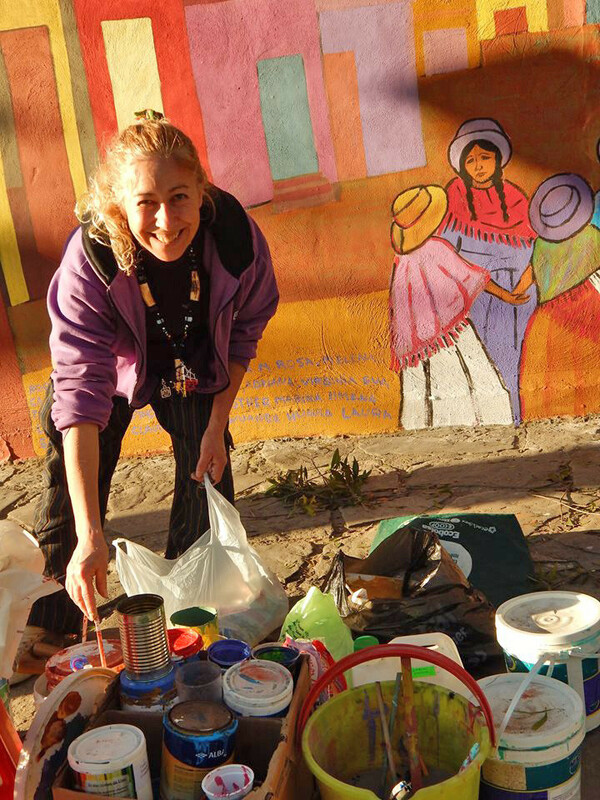 This unique experience has been held every year in different cities in Argentina since 1985. 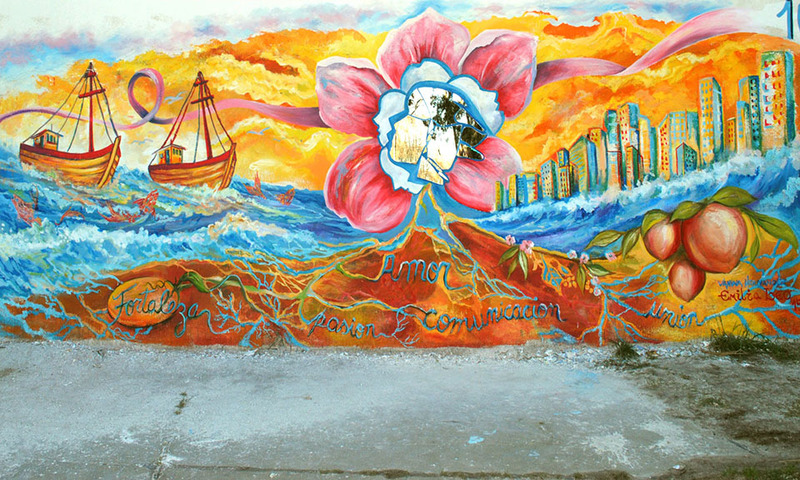 From the 10th to 12th of October Mar del Plata, Argentina will be the venue for the 30th national gathering. 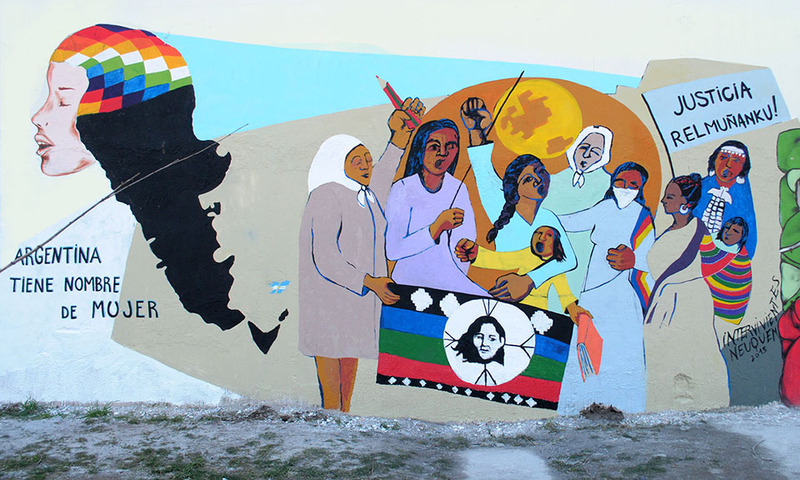 Women of all ages and social classes will arrive from all 24 provinces to share their experiences and strengthen their actions that they will continue working on back home until the next meeting. 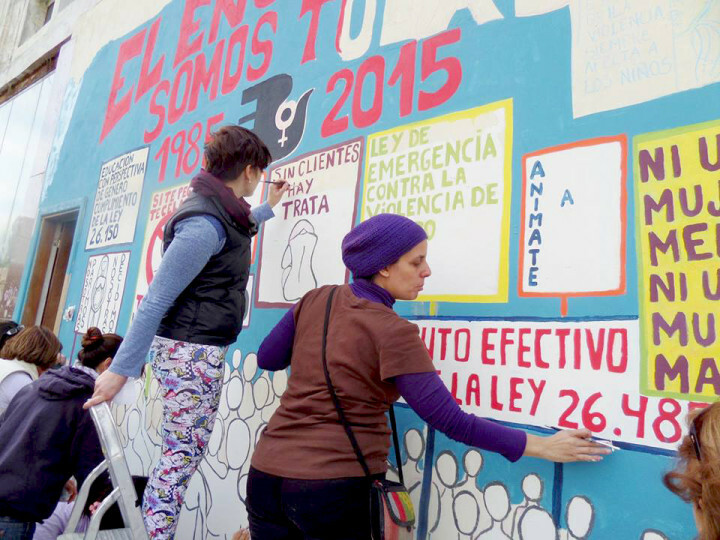 Workshops on violence, sexuality, contraception and abortion, human trafficking, work, family, natural resources, and many other subjects will be the core activity. 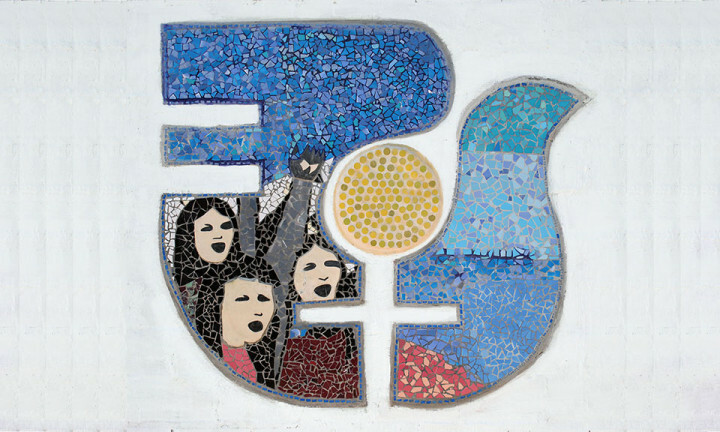 After sharing conclusions a huge and highly diverse march will fill the streets as has been done for the last 30 years after every meeting. While the organization of the event progresses, the walls of the city receive the inspiration of the very spirit of the gathering. 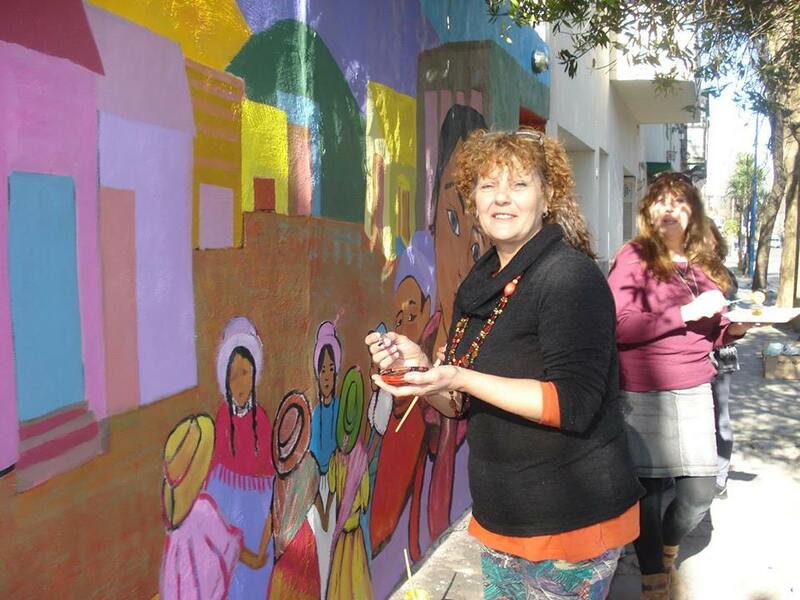 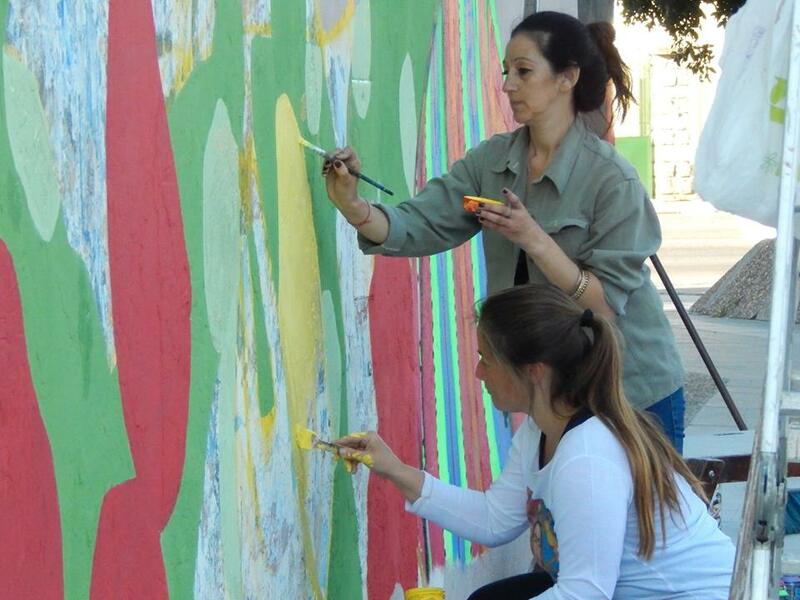 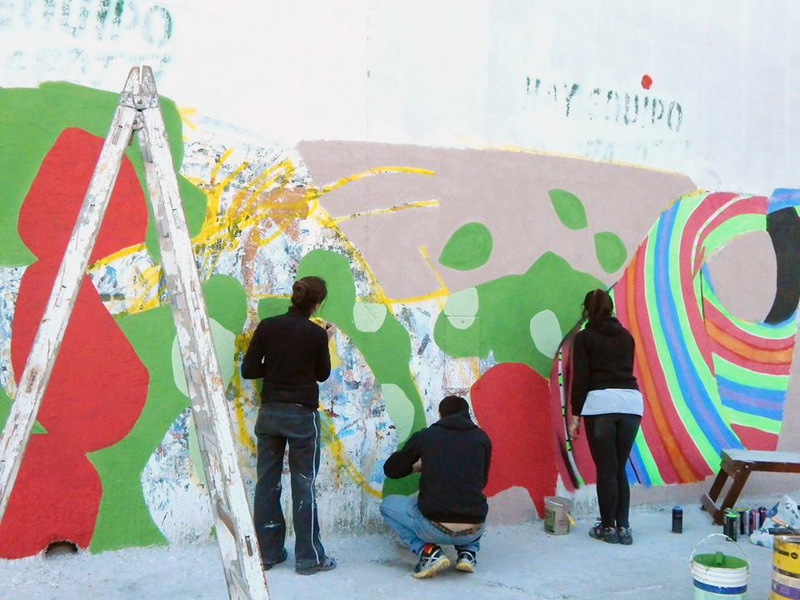 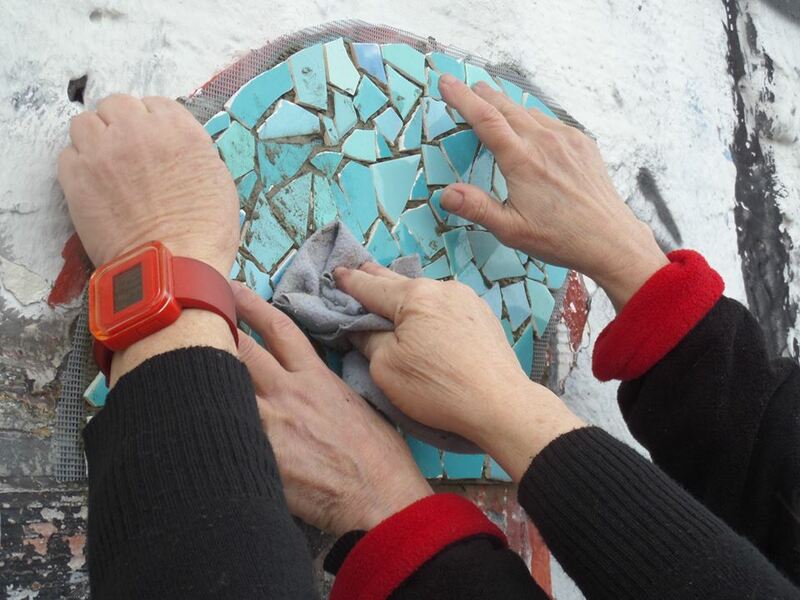 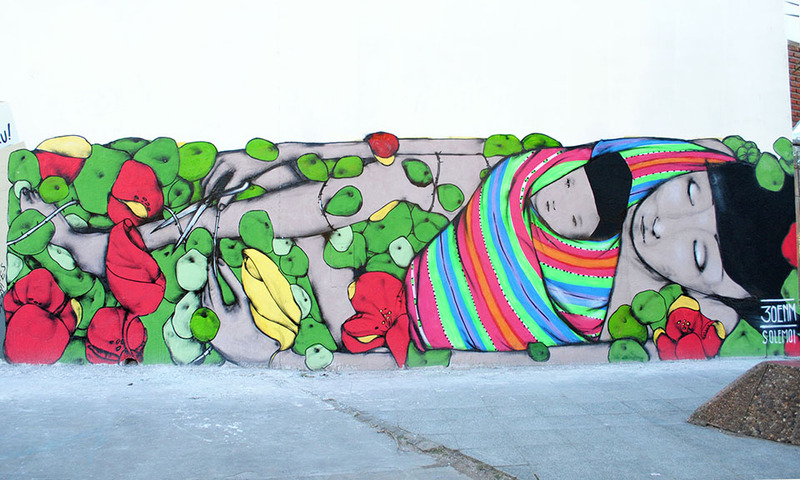 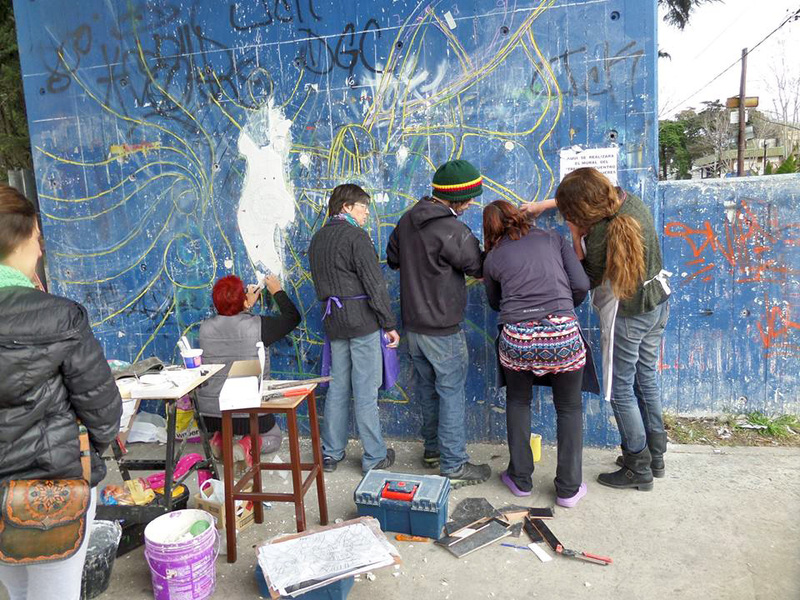 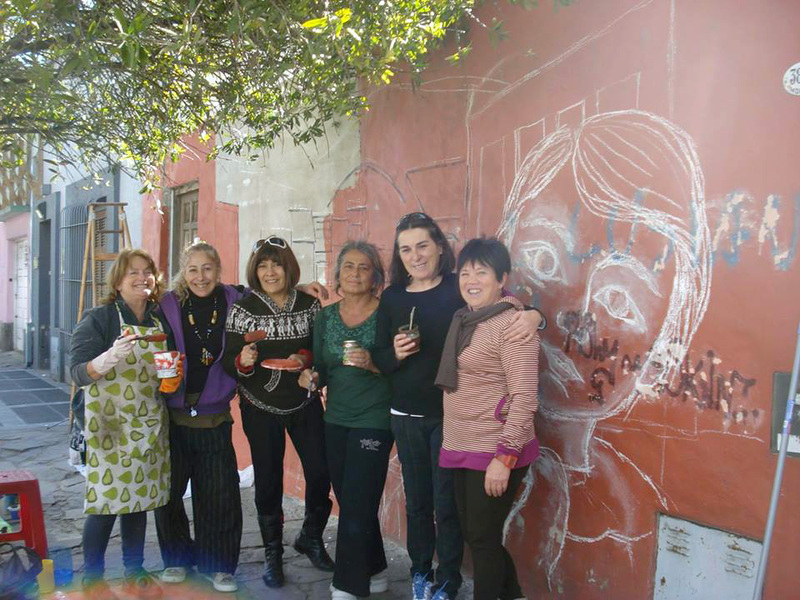 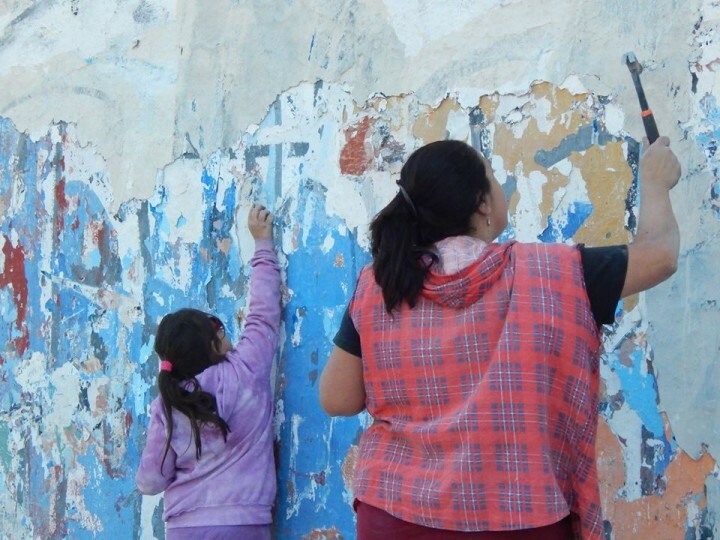 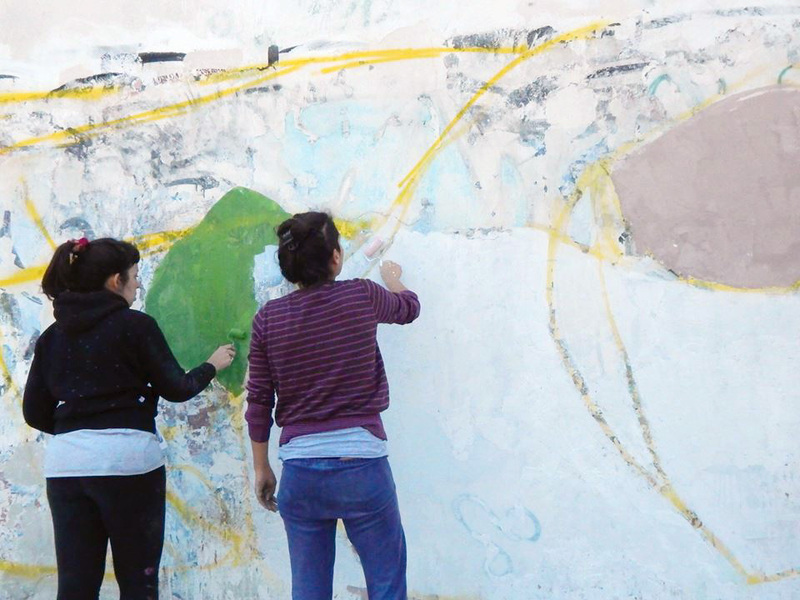 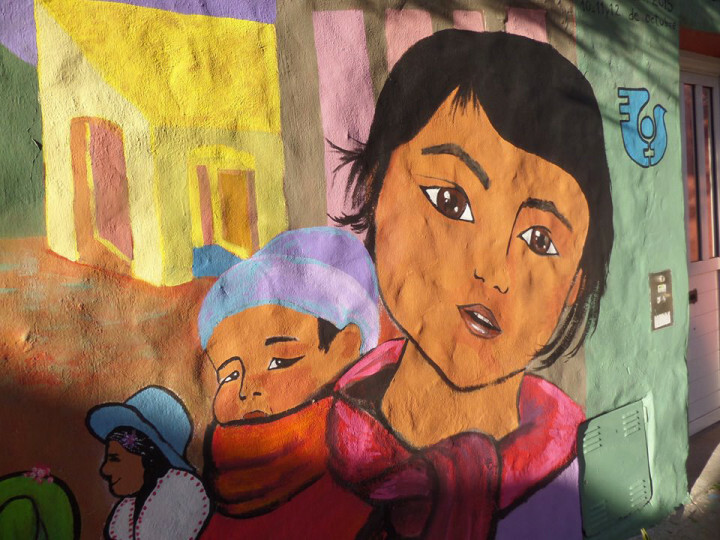 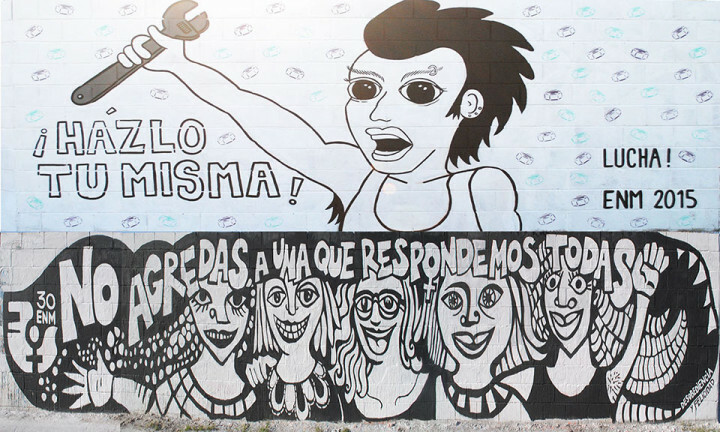 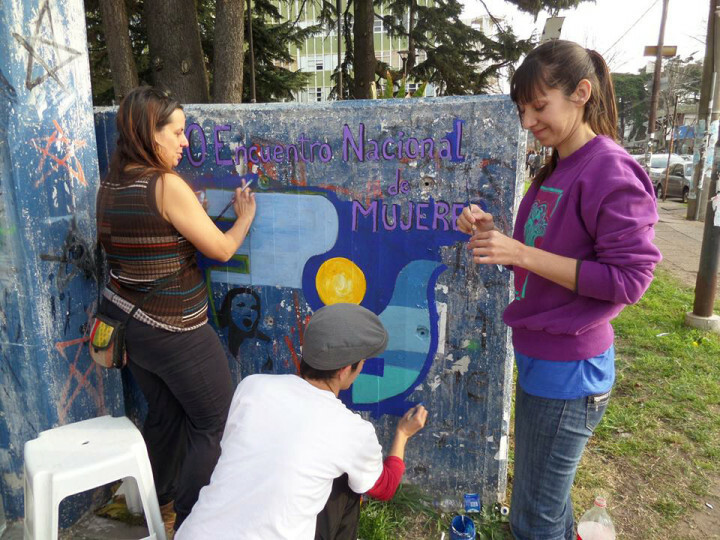 Local artists create wall paintings together with volunteers. The following pictures show this special result and while doing this, the women continue deepening bonds and having fun while awaiting the arrival of their guests to do much more than drink tea together.